Looking for Fresh Seafood? Seafood markets are available no matter which Grays Harbor Beach you may visit. Most offer easy access to your travels to and from the beach, with ample parking. There are some markets located right on the docks at Westport. Most are open daily with a variety of fresh fish, crab,oysters and more. Brady's Oysters is family owned and operated and have working oyster beds right below them. The are open daily from 9 a.m. to 6 p.m. with fresh seafood ready to take home with you. Depending on the time of year, the day and the tides you may even get to watch them harvesting the oysters. Seafood Connections is located right down on the docks at float 8. 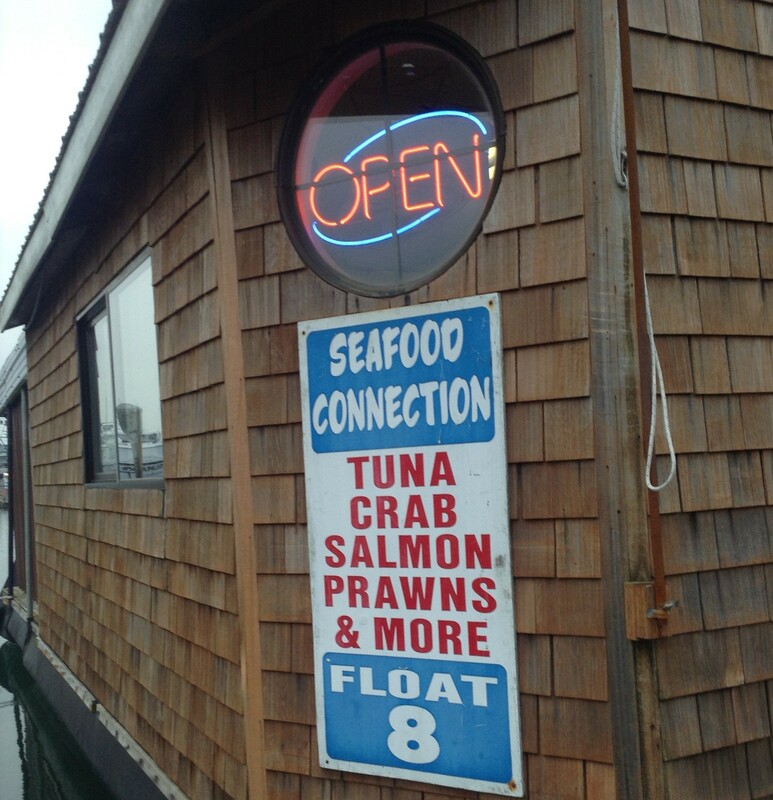 It is floating in the marina and offers both live and cooked crab along with other fish and shell fish options. Their hours are 10 a.m. to 6 p.m. daily. Merinos Seafood Market is located in Westport's Marina District area. They offer a world-class selection of solid packed tuna, crab, salmon and shrimp. Their business specialty is canned seafood. They offer seafood, fish exchange and vacuum packing. This is the best place for recreational anglers and they can have their fresh catch processed for them. Fresh smoked salmon, cooked whole crab and white fish are available daily in their cold case. Their hours of operation are daily from 9 a.m. - 5 p.m.
A family owned business since 1964, Lytle Seafoods Oyster Shack is located 5 miles from Hoquiam. If heading to Ocean Shores, Seabrook or another small coastal town in the northbeach area you will drive right past their store front. The retail market is fully stocked with fresh Pacific oysters, shucked oysters and other fresh seafood. Owners Mile and Kathy Lytle run this business and are open daily from 10 a.m. to 6 p.m.
Aberdeen also has a market available on your way out of town located on the Wishkah River. Besides offering fresh fish and shell fish. Breakwater Seafoods & Chowder House has a small restaurant inside with great clam chowder and other dishes. You can dine inside or during the summer month outside on their deck over looking the Wishkah River. Their hours of operation are 10 a.m. -7 p.m. except Sundays they close at 6 p.m.